I am really sorry that this young woman fell victim to her addictions if, indeed, that is what happened to her. I have read about her many troubles during the past year or so and I kept thinking that she would somehow pull out of her self-imposed problems but sometimes I guess one gets to the point where he/she just doesn’t care anymore. I keep reading that she has such a unique talent, but listening to her various song renderings on this and other postings doesn’t show me anything special. One article went so far as to say she was such a great singer that a special place had to be made for her in the R&B, Soul and jazz genres, but I can’t say that she fit into any one of those music styles to me. I was not a fan but I am genuinely sorry that such a young, successful artist is gone so early. Hi, Carole, thanks for your comments. I wasn’t very familiar with Winehouse’s music until today; her downward spiral with drugs and alcohol is all too familiar. To break that addictive cycle takes God’s help through a 12-Step program like Alcoholics Anonymous. I don’t think she gave up. Her addiction was severe and improperly treated. LIstening to her hit song, “Rehab,” tells us that she was unwilling to get real help to recover from the disease. Crikey! – we both came up with nearly the same title for a very different blog Lisa. Great discussion on addiction. Peter, thank you for both links. Thanks also for visiting Lisa’s History Room! it’s not that anyone deserves to have bad things happen to them.. It’s just that with some people, there’s no real surprise when they do. I saw this coming for years. Poor amy.. she was really talented. But she’s in the 27 club now so she’s going to get the immortality her singular talent deserved. You think nirvana would have been considered “classic” music today if kurt hadn’t shot himself? And amy’s got at LEAST three times the talent he did. She’ll be aptly famous forever which is a small consolation for her and her family but a nice, romantic rock-star saga for the ages. Isosceles, evidently, Amy was on a bender of drugs and alcohol for many days before her death. The body can only take so much abuse. Reading over the list of questions, I have to think the list is made more for people who already know they have an addiction (or conversely, for people who aren’t sure and want reassurance that they’re not addicts). I don’t think most true addicts are capable of self-diagnosis, because part of the addiction is the denial. An ex of mine has an older brother who is an alcoholic, and in addition to being in denial, he’s also manipulative (question #6) and flaky (question #5). For people who care about him, it’s confusing and heartbreaking, because one day he’ll do something really spontaneous and sweet (like find you some rare book and buy it for you just because it reminded him of you) and the next day he’ll flake on something really important that really doesn’t take too much effort (like showing up for your birthday). I think the nice gestures are actually sincere (not an attempt to be manipulative), but you never know when to believe him because he is so unreliable. When he’s drinking, he makes up lies all the time about why he can’t do this or that (and you know it’s because he wants to drink, or he’s drunk, or whatever). He’ll say he hasn’t drunk in a month and then you find he’s stashed beer in his backpack. It gets to where you don’t even trust him when he seems sober. And sometimes it turns out you don’t trust him but he was telling the truth…and then YOU feel bad because you didn’t give him the benefit of the doubt. It’s such an emotional rollercoaster. It’s hard to know how to love someone like that – you can’t accept lies, but how can you love someone you can’t trust? And the thing is, he is such a nice guy. Like, really nice. Likable. He’s trapped by his alcoholism, but he doesn’t even realize it. It’s so sad. 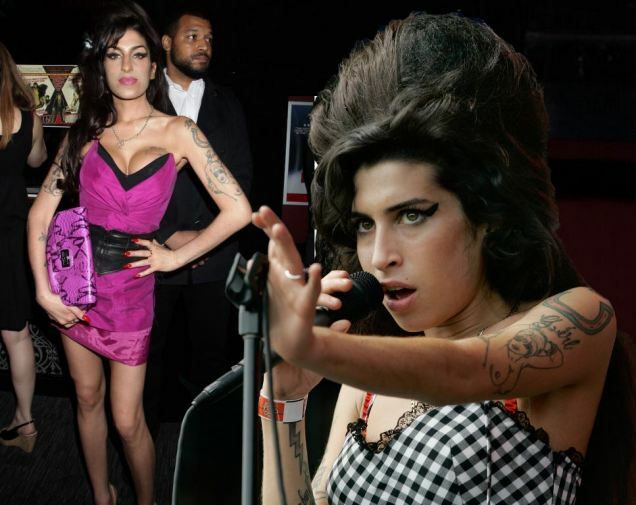 And that’s what makes me sad about Amy Winehouse – that she was so young, and that the addiction had to have been making her so miserable, and in the end it took her life. The loss of talent is sad, but it’s not tragic in the way the addiction is. Addiction is tragic, esp. when it’s ignored or explained away. The behavior in your ex’s brother is typical in an active alcoholic. Believe me, he wants to be the kind of guy you want him to be. He has a monkey on his back, whispering in his ear all the time, that makes him self destruct. Lisa, Sadly I agree with you, Amy was a victim. Her addictions, as well as many other addicts stem from stigma. Stigma surrounding mental illness is figuritively, as effective as the Berlin Wall, in preventing people from getting psychiatric help-turning instead to self medication with illegal drugs and alcohol. Amy was a victim of stigma, there have been so many fallen stars that have been a victim of stigma and followed the same path. However now there is a very public soldier against stigma from a surprising source-Demi Lovato. While I am not in the age group to watch her past Disney performances I have a tremendous amount of respect for someone who is just 18 years old and willing to take on stigma. Demi has done interviews discussing mental health and addiction; she also has a column in Seventeen magazine and a Twitter account that reveled Charlie Sheen’s in her mammoth influx of followers. Why is Demi important? She’s breaking through that wall of stigma for millions of young people, hopefully her generation will be less stigmatizing and will continue to diminish in the following generations. Back to Amy, if we apply the statistic that 1 in 3 people have experienced mental illness and then apply a grossly low number (that is my choice-not verified) that 1 in 50 self medicate with drugs and alcohol we can see how people become addicts. My soap-box about stigma. I give Lisa a standing O for illuminating so many subjects, especially history, which she is making accessible and interesting. I will stop commenting if people feel my comments are boring or offensive. Melissa, your comments are very civil, well-expressed, and welcome. Please keep coming back. I will check out Demi Lovato and what she is saying. I have been interested in the public discourse regarding addiction since Winehouse’s death.